You are at:Home»Leveraged & Inverse Channel»Gold and Gold Miners and Mergers. Oh My. 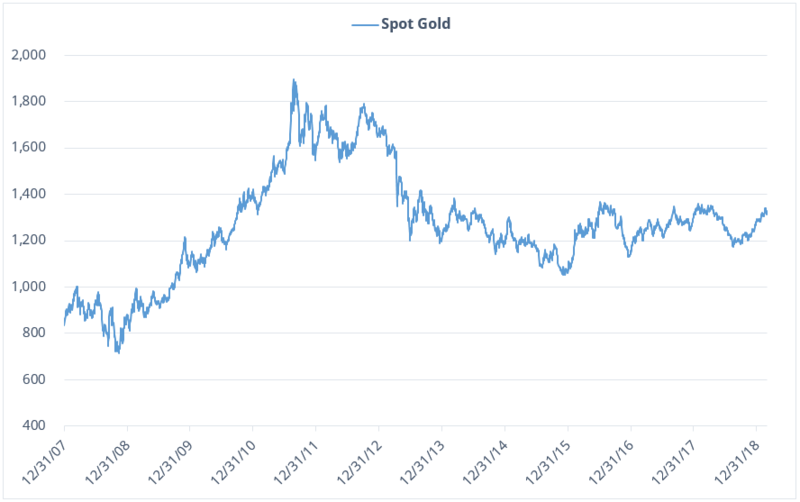 In one of its biggest six-month moves since 2016, the price of gold has rebounded about 10 percent from a 52-week low it set back in August 2018. But the precious metal once again found itself hitting resistance in the $1350-$1360 per ounce range. It’s now been about five and a half years since gold topped out at $1,400. Source: Blomberg. Data from 12/31/2007 – 2/28/2019. The performance data quoted represents past performance. Past performance does not guarantee future results. Heading into 2019, gold had the benefit of a dismal equities market and a general uncertainty surrounding the resilience of the global economy to push it higher. However, stocks have rebounded and hope for a cure-all resolution to the U.S.-China trade tension has kept fears of a global recession looming in the background. Regardless of the conditions that helped it hit new recent highs, demand for gold is back. Miners and junior miners, natural leveraged plays on the metal, have gained the most from the situation. Equities in the space have been red hot since late 2018. 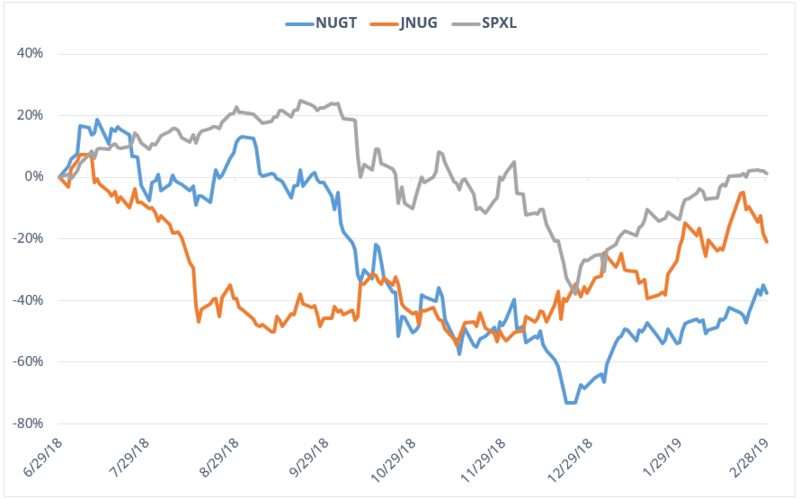 Despite a recent slide, the Direxion Daily Gold Miners Index Bull 3X Shares ETF (NUGT) and Direxion Daily Junior Gold Miners Index Bull 3X Shares ETF (JNUG) experienced dramatic rallies from December through February. Source: Bloomberg. Data from 6/29/18 – 2/28/2019. The performance data quoted represents past performance. Past performance does not guarantee future results. The investment return and principal value of an investment will fluctuate. An investor’s shares, when redeemed, may be worth more or less than their original cost; current performance may be lower or higher than the performance quoted. For standardized performance and the most recent month-end performance, click here. 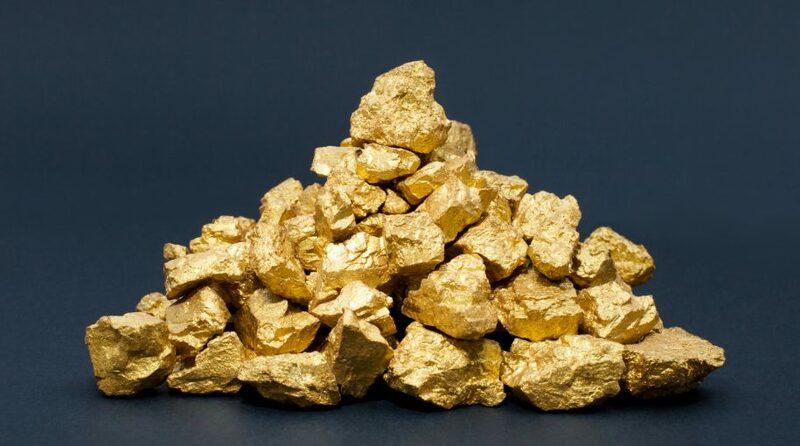 Economic uncertainty can be a catalyst for gold, and both the yellow metal and its related miners stocks surged midway through February on further positive headlines regarding the trade negotiations between the U.S. and China. Although the price has since consolidated, activity among the miners poses a real possibility for future price action in the industry. This is all happening against a backdrop of consolidation in the industry, with the latest being the potential acquisition of Newmont Mining Corp. from rival Barrick Gold Corp. Both miners have made major acquisitions in recent months, with Barrick acquiring Randgold for $6 billion and Newmont responding with a $10 billion acquisition of Goldcorp. Though Newmont rejected Barrick’s advances at an 8 percent discount, this saga, and the related trading opportunities, are hardly over.